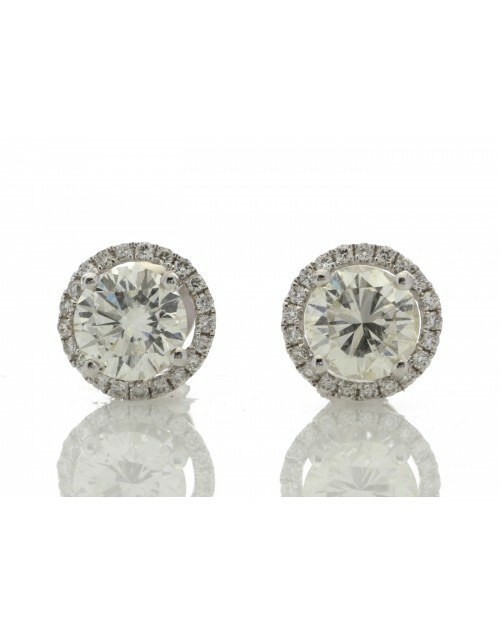 18ct White Gold Single Stone Halo Set Earrings (2.03) 2.26 Carats - A beautiful round brilliant cut diamond surrounded by twenty one sparkling round brilliant cut diamonds on each of these gorgeous halo earrings. A beautiful round brilliant cut diamond surrounded by twenty one sparkling round brilliant cut diamonds on each of these gorgeous halo earrings. 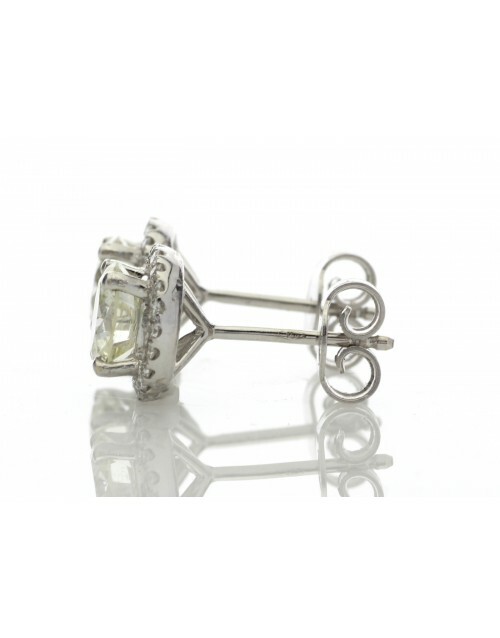 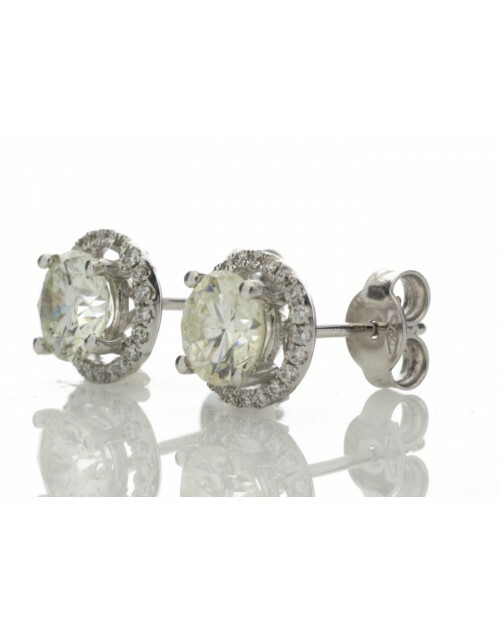 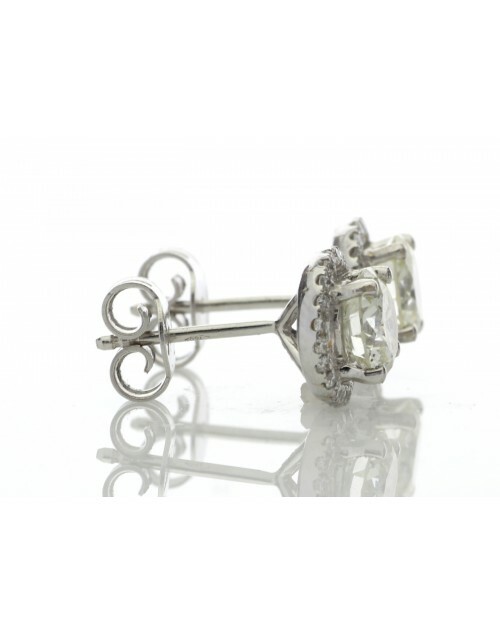 These earrings come with a free AGI certificate and is graded with a G colour and VS clarity.